Rashid Ajami, a deep house producer hailing from London, has gone from strength to strength with every release and his most recent "Unstoppable" EP was an unprecedented triumph. Suprima recently sat down with Rashid to discuss the up-and-coming artist's rise from obscurity, plus some of his favorite tracks and future plans. Suprima Musique: Tech house & deep house are both very specific genres of music to begin producing. What made you start? 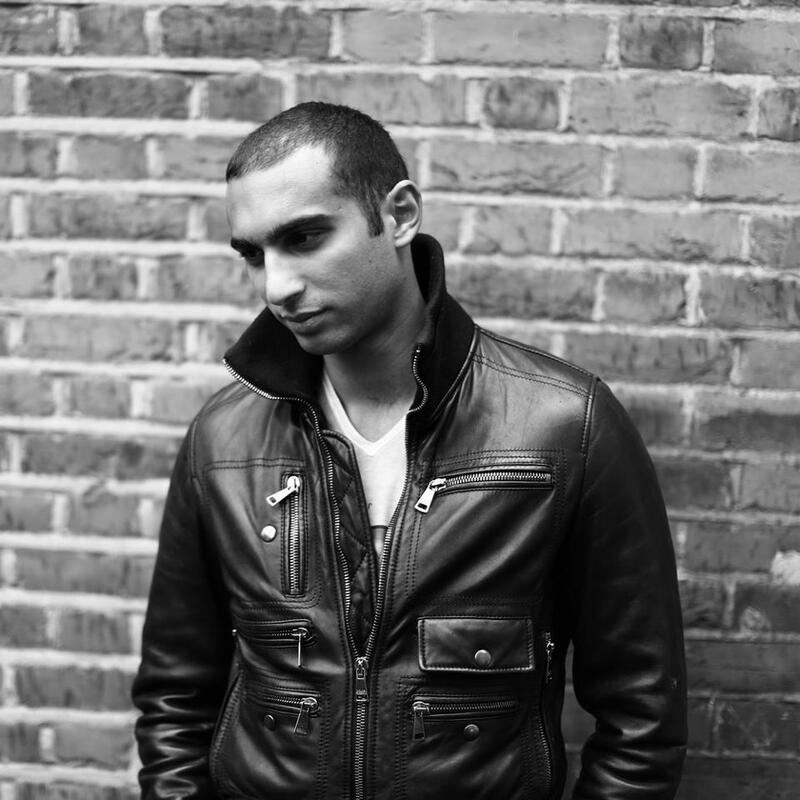 Rashid Ajami: I started with the aim to make progressive house, EDM type stuff with more emotion. I always listened to everything but I’ll be honest I was initially more focused at trying to produce more progressive house. Suprima Musique: Funny you should say that because that brings me to my second question... You used to produce progressive house (there are some tracks still floating around on Beatport). Why did you stop and switch to tech/deep house? Rashid Ajami: It all happened from one track… "Rule the World". It was my first attempt at making a deep house track and I made the core of the song in about an hour. I then sent it out to a few deep house labels and had an immediate response as well as great reactions from my friends. From there I found that naturally it was a much more comfortable genre for me… I felt the emotive output I could produce from deep was far more natural and organic. Suprima Musique: Here’s an easy one: which artists have influenced you? Rashid Ajami: I would say people like Jody Wisternoff from Way Out West as a pioneer. I like all the classic guys such as Jamie Jones but I’m also into really different vibes such as Robag Wruhme. Other names would be Sasha, Bicep, Stimming and even EDM artists like Swedish House Mafia! It's hard for me to answer because I like so many genres. I would add Michael Jackson to that list even. Suprima Musique: Tube & Berger’s remix of your track “Unstoppable” debuted high on Beatport's tech house Top 10. As an artist who’s relatively new to the scene, what was it like to gain such rapid and high profile exposure? Rashid Ajami: It was really great to see myself reaching such a position. I'd say what I realize is that it's about consistency and I aim to keep producing really high quality and continually improve and grow as an artist. I never dreamed of making a top ten on Beatport but when it happened I thought what next? How can I now get an original work in the top ten? I was very pleased of course. Suprima Musique: Any upcoming releases you can talk about? Rashid Ajami: Upcoming will be my release on Anjunadeep which is similar to “Rule the World” in that it has the same motivational/emotional vibe and vocals. I also have a few collaborations on labels such as Roger Sanchez’s Stealth and have finished up a few killer tunes that I hope to find a home for soon. Suprima Musique: Now that you’ve relocated to New York do you have any shows in the works? Rashid Ajami: I’ll be playing at Electric Beach at Santos Party House on July 6th. It's a big show so I'm very excited. I’ll also be throwing a few of my own events in Brooklyn with like-minded producers and visual artists. Suprima Musique: You’re in the home stretch! Final question: If you could turn back time and prevent an artist from releasing a track so you can release it yourself, which one would it be? Also, would you turn back time to prevent an artist from releasing a track altogether? Rashid Ajami: A track to release myself is such a hard question because there are so many amazing tracks... From more commercial deep house I’d do “Benediction” by Hot Natured and from the deeper stuff I’d say Edu Imbernon's track “Mystery Inside”. All of Edu Imbernons stuff is pretty insane… But there are really so many songs so it’s hard to answer. In terms of tracks I wouldn't want to see released I would say none because I believe artists should be allowed to express themselves how they want whether it's commercial, deep, whatever. If it’s something they are happy with releasing then it's all good to me. Suprima Musique: How very Zen of you. Thanks so much for your time Rashid!